55 Cancri e, a planet orbiting a star some 40 light years from earth, is having a bit of an identity crisis. 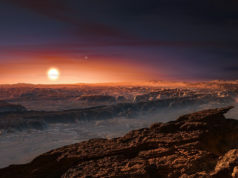 A team of astronomers recently completed the most detailed examination to date of a rocky planet outside of our solar system. Much of the information we know about exoplanets is centered around gas giant, owing to their larger size and heat signatures, but an international team has been studying one small rocky planet, and has discovered that one half of the planet consists of lava, while the other half is rock solid. As a result, the planet has become a sort of “hot-cool” planet. The side covered in magma has surface temperatures reaching 2,500 degrees Celsius, while the cooler side has a temperature of “only” 1,100 degrees Celsius. The researchers believe that the temperatures are so extreme on the one half that the atmosphere has actually melted away. The planet examined has been labeled 55 Cancri e, and is located about 40 light years from earth. For the first time, researchers were able to gather data for a small rocky planet throughout the entire course of its orbit. This allowed the researchers to map how conditions on the planet changed throughout the course of its orbit. The planet is tidally locked. This means that the one side of the planet is always facing the sun, and the other is always facing away. The moon orbiting the Earth is also tidally locked. The star that 55 Cancri e orbits is similar in size and nature to our own sun. Owing to an extremely close orbit, the planet’s entire year is a mere 18 hours. 55 Cancri e’s close orbit and tidal lock results in the side facing the sun heating up to extreme temperatures. The surface temperatures on the planet are high enough that rock, metals, and other would-be solids are melted. 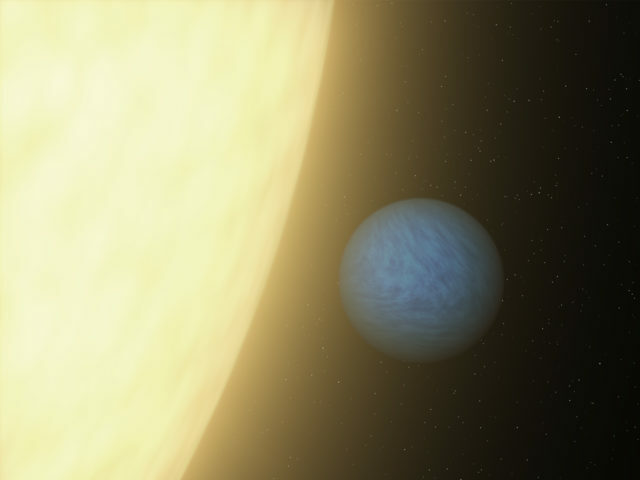 55 Cancri e is roughly twice the size of the Earth and about 8 times larger in mass. Most of the data and insights were gleaned from a heat map created using NASA’s Spitzer Space Telescope, which gathers infrared data. The telescope was named after Lyman Spitzer, one of the earliest advocates for space-based telescopes. The results of the study were reported in the journal Nature.